Australia’s productivity performance has a major influence on real per capita income growth. Productivity growth improves current living standards as well as the nation’s capacity to address future challenges such as our ageing population and global economic shocks. Despite the best efforts of statisticians and economists, the measurement and interpretation of productivity remains a challenge. The update seeks to demystify this commonly used, but often misunderstood, concept. Future editions of the update will come out in the March quarter of each year. 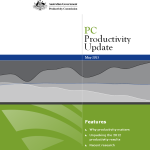 Each edition will unpack the latest ABS productivity statistics, and report on the findings of the Commission’s most recent research into productivity issues. The Commission is charged with promoting public understanding of productivity issues. 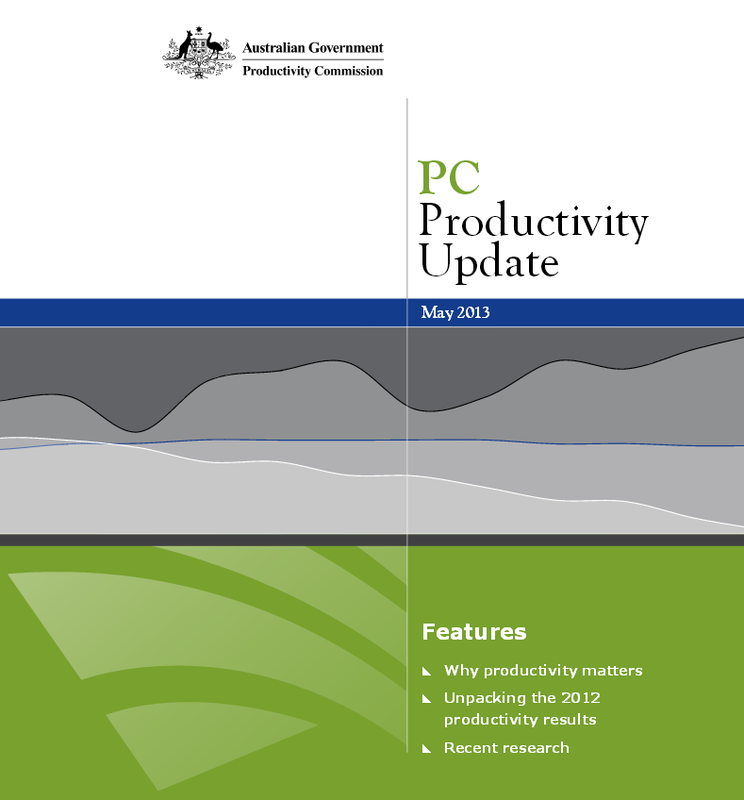 A timely annual exploration of Australia’s productivity performance aims to contribute to the public debate and to encourage informed policy discussion. Posted in Agriculture, Asia Pacific, Economy, Federal, Governance, Information, Primary Industry, Productivity and tagged ageing population, Australia, economic shock, income growth, living standards, per capita income, Performance, Productivity.